Alchademy (Free) by Apps-O-Rama is a fun, casual game about mixing ingredients and satisfying your curiosity. 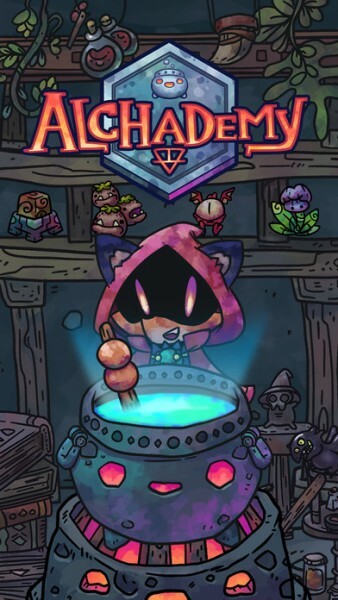 If you want to feel like a witch or warlock brewing some crazy concoctions just in time for Halloween, then Alchademy is a nice little time killer that will provide you with some entertainment this holiday season. It goes well with Puzzlepops! Trick or Treat, if you are looking for spooky, entertaining titles. Halloween is coming up in a little over a week, so I’m pretty excited. It’s one of my favorite holidays, because who can resist the spooky decorations, candy, dressing up in costume, special events, and all the movies fit for the season? I certainly can’t. But since it’s like almost 100 degrees out here in Southern California, it doesn’t feel like fall or Halloween for me, so I’ve been turning to games to get my fill. Yesterday I talked about the delightful Puzzlepops! Trick or Treat, and today I’m diving into Alchademy. Visually speaking, Alchademy is gorgeous. The game is filled with completely original graphics that have a cartoonish charm to them, similar to what you would find in a graphic novel of sorts. The alchemists that you unlock have their own distinctive outfits and sounds, which are fun to listen to when you poke around on the screen. 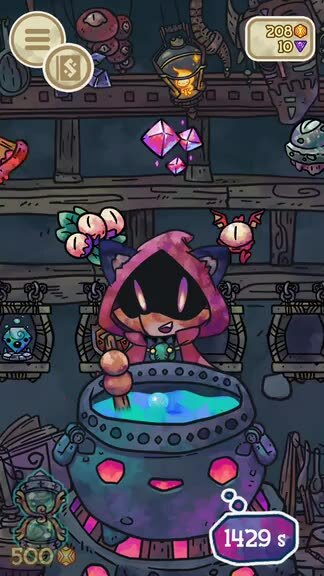 The ingredients that you can put into the cauldron have their own unique aesthetics, and everything seems to be alive with cute eyes and whatnot. The colors used in Alchademy range from bright vivid hues to colder, darker tones. 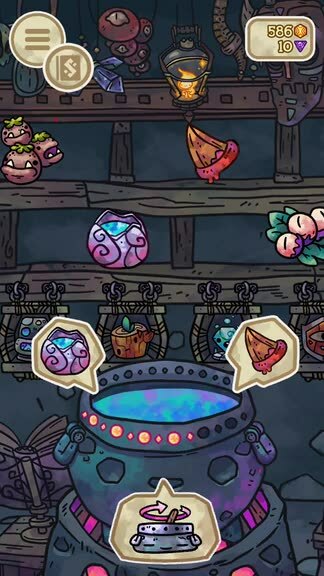 The cauldron also has gems along the side that indicate the potency of the ingredients you are mixing, and the color of the brew is also a sign of potential results. 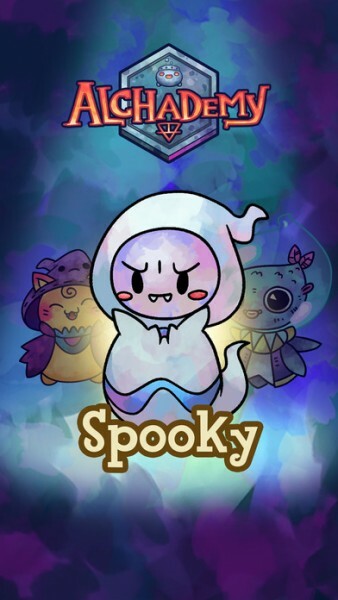 Animations are smooth and fluid as you select ingredients, pan the camera around, and pop bubbles for extra coins while waiting, and the spooky tunes fit the season nicely. 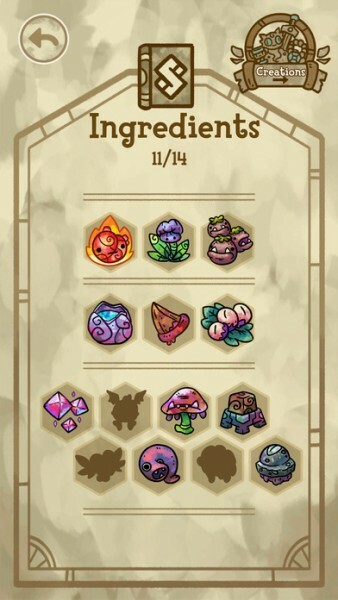 As I stated earlier, Alchademy is a fairly casual game that is meant to be played whenever you have a few minutes, just so you can check on your previous combination and start a new one. The game doesn’t have any different modes or things to solve — it’s just a game about combining ingredients to create new things and rinse and repeat. It’s not a real game, per say, but it is entertainment and one of those things that is fun to check up on every now and then. Plus, if you have any sense of curiosity, you’d be interested to know what weird things can come out from this game. So how do you combine things? 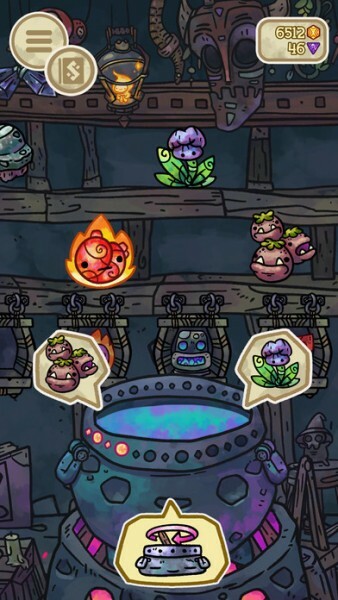 Behind your cauldron and alchemist is a wall with shelves for various ingredients that you can put into the pot. To throw it in, just tap or drag the item you want to use, and repeat the process for the second item. If you’re satisfied with your choices, hit the “stir” button at the bottom of the screen and the two ingredients will be mixed. This is when the timers come in — at first, the timers will be relatively short, but as you make more combinations, the timers get longer, pushing you to spend your gold coins for the hourglass to get instant results. Either way, after the timer is done, you’ll be able to see your new creation, or get let down with a disappointing “Mixture Failed” message. To gauge the possibility of success, look at the lights on the cauldron as well as the color of the brew when you select your ingredients — the number of lit up dots represent how many combinations a particular ingredient still has left. And when you pick the second ingredient and the water turns red, then that means that you’ve already tried this combination and you should try a different ingredient. The results of your concoctions can be new ingredients, garbage, or you can get “Creations,” which are cool items that two ingredients end up making. The creations cannot be used in the cauldron and are stashed away in your collection of creations, so they’re mainly there to look pretty. But if you’re a collector, then it’s fun to see how many of them you can discover and make on your own. Once you collect all of the ingredients and creations that a book has to offer, you’ll unlock the next one for free. Whether you make a new ingredient, junk, or creation, you’ll be awarded some gold coins after each combination. You can also share your success and get another 100 coins for free, and there are opportunities to watch a video ad for coins. And once you fill up the totem (each mix fills it up 10 percent), you’ll get more gold coins in return. So the game gives players ample opportunities to get coins, including popping bubbles while waiting for the mix to finish, so you won’t be starved on currency at least. 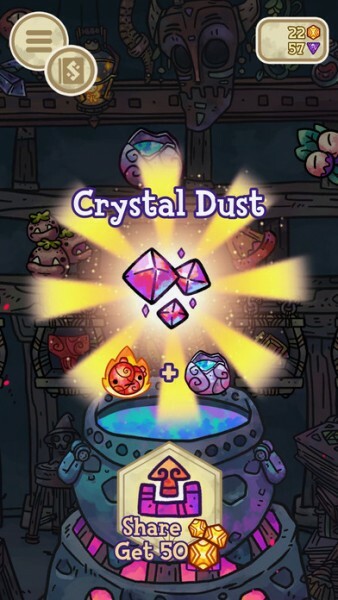 There are also the purple gems, which are the premium currency, and you can use these to purchase new recipe books and different alchemists to spice things up. Sometimes gems can be given by popping those bubbles, so make sure to keep at it. Or you can convert gold coins to gems and vice versa, or get more through in-app purchases. Even though there is not much gameplay to Alchademy, I’m still finding it to be a fun and entertaining app on my iPhone 7. The graphics are stunning, the music is fun, and hey, I love to see what combinations make what. If you’re even the least bit curious about things, then this game will keep you busy, and it’s perfect for Halloween. 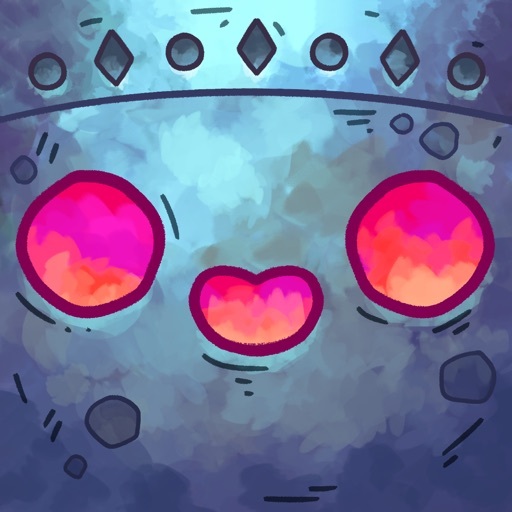 Alchademy is available on the App Store as a universal download for your iPhone and iPad for free. There are in-app purchases.